The framework is a complete rewrite that unites the previously separate ASP.NET MVC and Web API into a single programming model. Despite being a new framework, built on a new web stack, it does have a high degree of concept compatibility with ASP.NET MVC. ASP.NET Platform exists for more than 15 years. In addition, at the time of System.Web creation it contained a large amount of code to support backward compatibility with classic ASP. During this time, the platform has accumulated a sufficient amount of code that is simply no longer needed and is deprecated. Microsoft faced a difficult choice: to abandon backward compatibility, or to announce a new platform. They chose the second option. At the same time, they would have to abandon the existing runtime. Microsoft has always been a company focused on creation and launch on Windows. ASP.NET was no exception. Now the situation has changed: Azure and Linux occupied an important place in the company’s strategy. The ASP.NET Core is poised to replace ASP.NET in its current form. So should you switch to ASP.NET Core now? ASP.NET Core is not just a new version. It is a completely new platform, the change of epochs. Switching to ASP.NET Core can bring many benefits: compact code, better performance and scalability. But what price will be paid in return, how much code will have to be rewritten? .NET Core contains many components, which we are used to deal with. Forget System.Web, Web Forms, Transaction Scope, WPF, Win Forms. They no longer exist. For simple ASP.NET MVC-applications changes will be minor and the migration will be simple. For more complex applications, which use a great number of .NET Framework classes and ASP.NET pipeline situation is more complicated. Something may work and something may not. Some part of the code will have to be rewritten from scratch. Additional problems may be caused by WebApi, because ASP.NET MVC subsystems and WebAPI are now combined. Many libraries and nuget-packages are not ready yet. So, some applications simply will not have a chance to migrate until new versions of the libraries appear. I think we are waiting for the situation similar to the transition from Web Forms to ASP.NET MVC. ASP.NET Framework will be supported for a long time. 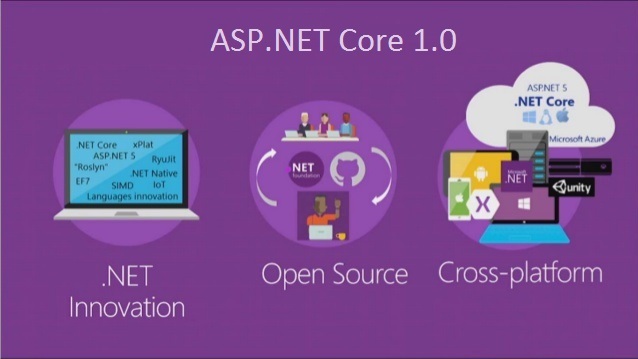 First, only a small amount of applications will be developed on ASP.NET Core. Their number will increase, but sooner or later everyone will want to move to ASP.NET Core. We still have many applications running on the Web Forms. However, no one comes to mind to develop a new application on the Web Forms now, everybody chooses MVC. Soon the same happens to ASP.NET Framework, and ASP.NET Core. ASP.NET Core offers more opportunities to meet modern design standards. Cross-platform: Runs on Windows, macOS and Linux; can be ported to other OSes (Operating Systems). The supported OSes, CPUs and application scenarios will grow over time, provided by Microsoft, other companies, and individuals.Command-line tools: All product scenarios can be exercised at the command-line. Supported by Microsoft: .NET Core is supported by Microsoft, per .NET Core Support. As for the “cons” one of the biggest issues are gaps in the documentation. Fortunately most of the things for creating and API are covered, but when you’re building an MVC app, you might have problems. Next problem – changes. Even if you find a solution to your problem, it could have been written for a previous version and might not work in the current one. Thanks to open source nature of it, there is also support available on github. But you get same problems there (apart from searching). Another thing is lack of support in the tooling. You can forget about NCrunch or R# Test Runner. Both companies say they will get to it when it gets more stable. ASP.NET Core is still too raw. Many basic things, such as the Data Access, is not designed for 100%. There is no guarantee that the code you are using now will work in the release version. It’s modular. You can add and remove features as you need them by managing NuGet packages. It’s also much easier and straightforward to set up. WebApi is now part of the MVC, so you can have class UserController, which will return a view, but also provide a JSON API. ASP.NET Core is the work on the bugs of the classic ASP.NET MVC, the ability to start with a clean slate. In addition, Microsoft also aims to become as popular as Ruby and NodeJS among younger developers. 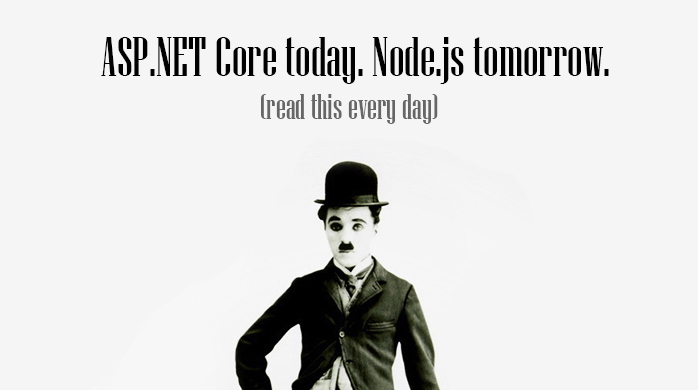 NodeJS and ASP.NET have always been rivals: both – a platform for backend. But in fact, between them, of course, there was no struggle. The new generation of developers, the so-called hipster developers, prefer Ruby and Node. The adult generation, people from the corporate environment, are on the side of .NET and Java. .NET Core is clearly trying to be more youthful, fashionable and popular. So, in future we can expect the .NET Core and NodeJS to be in opposition. In its advertising campaign, Microsoft is betting on unusual positions for it: high performance, scalability, cross-platform. Do you think that ASP.NET “crawls” on the territory of NodeJS? Please feel free to share your thoughts with us.